Ana was born in Mexico, lived in Spain and at age 10 moved to Connecticut where our friendship began. She now resides in Manhattan with her husband. Her parents always made it a priority to show their children the world so they’d grow up to be cultured and well-rounded adults. Stay tuned for more details on the new business she is starting in NYC! Ladies, you will love it. Many thanks for kicking off the travel series, Ana! 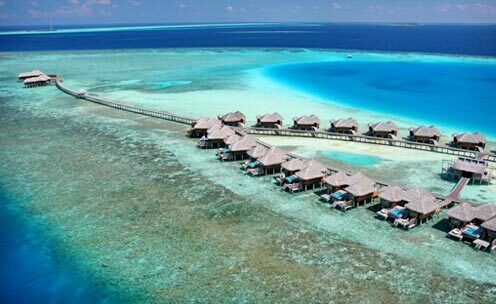 Ever since my honeymoon to the Maldives, I’ve become absolutely obsessed. 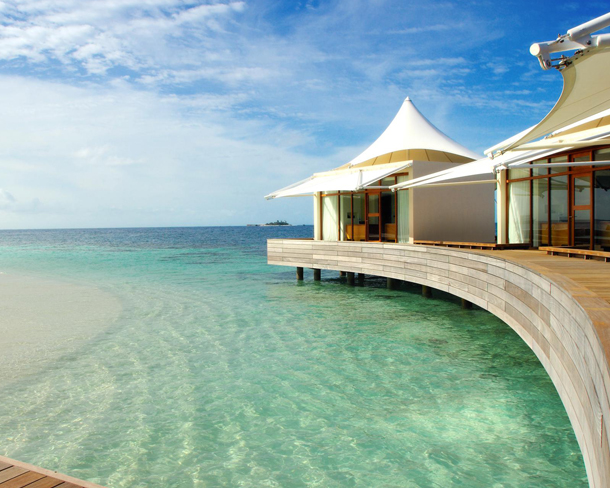 I’m constantly reading up on the newest hotels and daydream about booking an impromptu holiday there just ‘because’. Key word: daydreaming. If you ever have the chance to visit that part of the world, I highly recommend it. 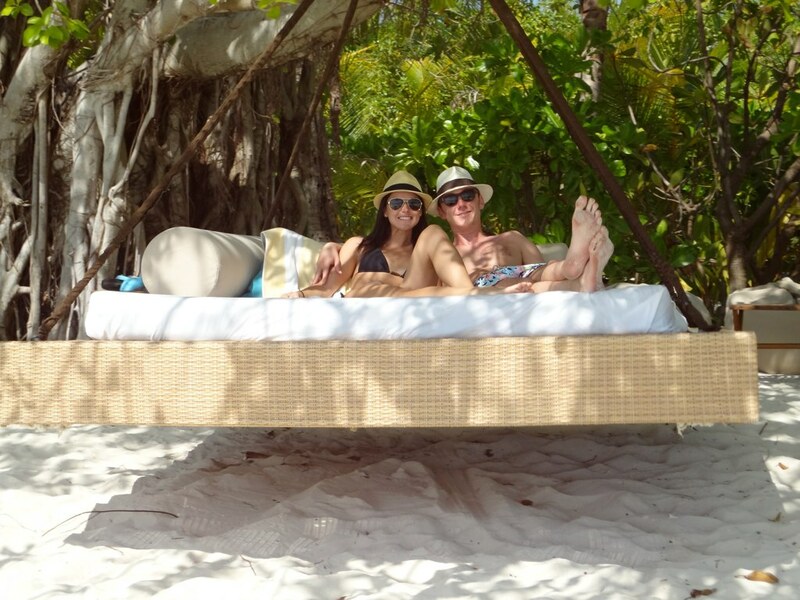 Here are some of my top hotel picks! 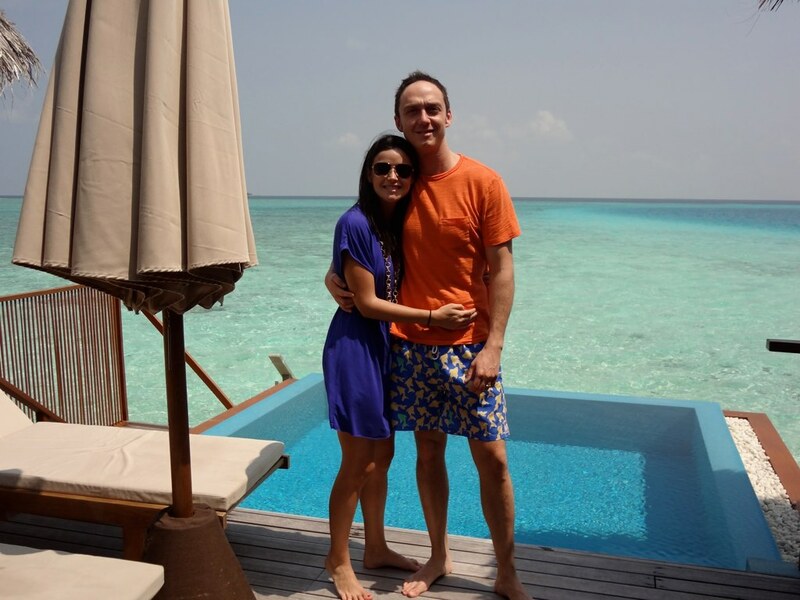 Huvafen Fushi: This hotel is incredible: the rooms, the food, the views, the service. I could go on and on. Similar to Coco’s obsession with sharks, I’ve always loved fish so you can imagine how excited I was when I entered the underwater Spa. 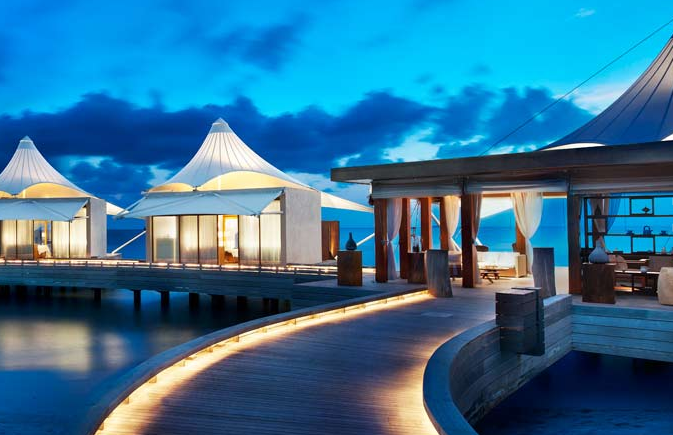 This hotel boasts the world’s first underwater spa and is something you must experience if you ever visit the Maldives. 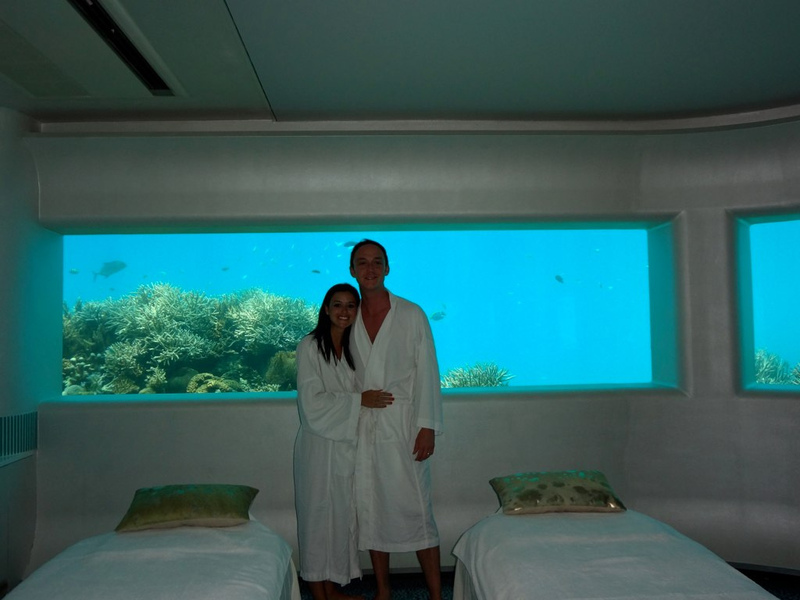 The massage room was near a coral reef and after the treatment, they delivered bubbly and left us alone so we could enjoy the view….DREAM COME TRUE. It was like we rented our very own private aquarium. 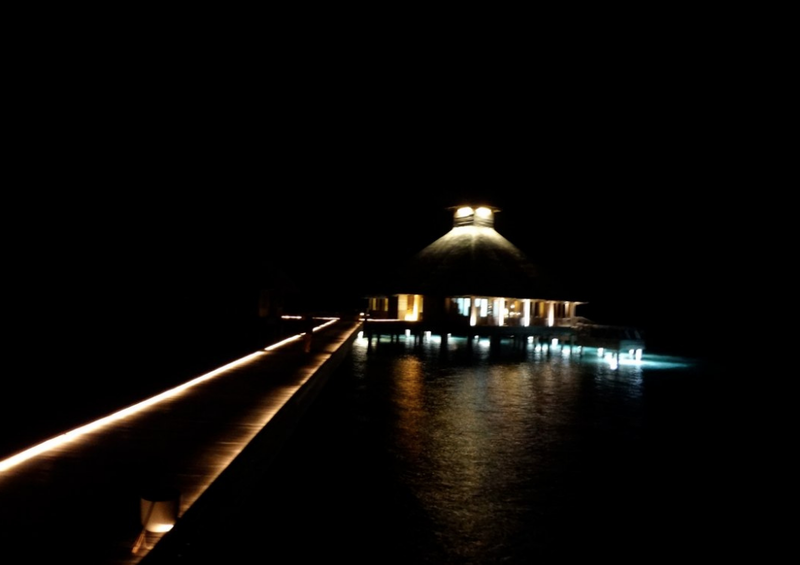 One & Only Reethi Rah: While we didn’t stay here on our Honeymoon, I’ve only heard great things about this hotel (no surprise coming from the One & Only hotel group). 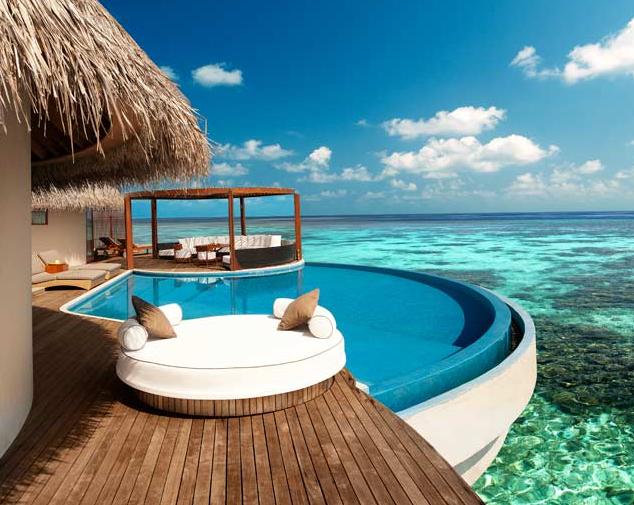 If you plan on staying here, I recommend booking a beach villa with a plunge pool. They are incredibly spacious and fully decked out with all of the amenities you could want. 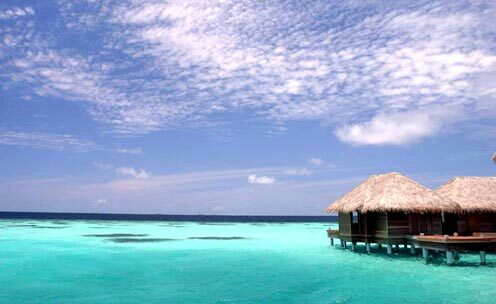 Plus, you have the privacy of your own beach front property where you couldn’t be more secluded! W Hotel: WOW – this hotel is incredible. 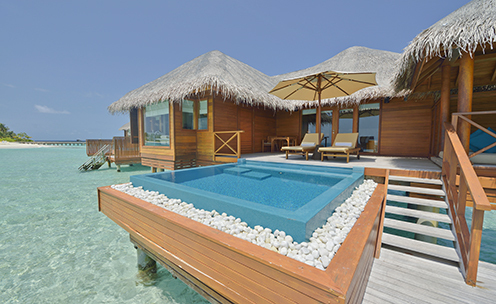 The ocean bungalows with plunge pools and day beds are to die for. While this hotel is on the larger side, it still manages to feel intimate. One of the benefits of staying here are the restaurants and bars they offer. The restaurant, Fish, serves the daily catch and local dishes. Jet lagged? Enjoy comfort food at Kitchen, the open-style bistro. If you can stay longer than a week, I recommend splitting your time between two separate hotels or two types of room within the same hotel. There are so many wonderful features to each one that who wants to choose! 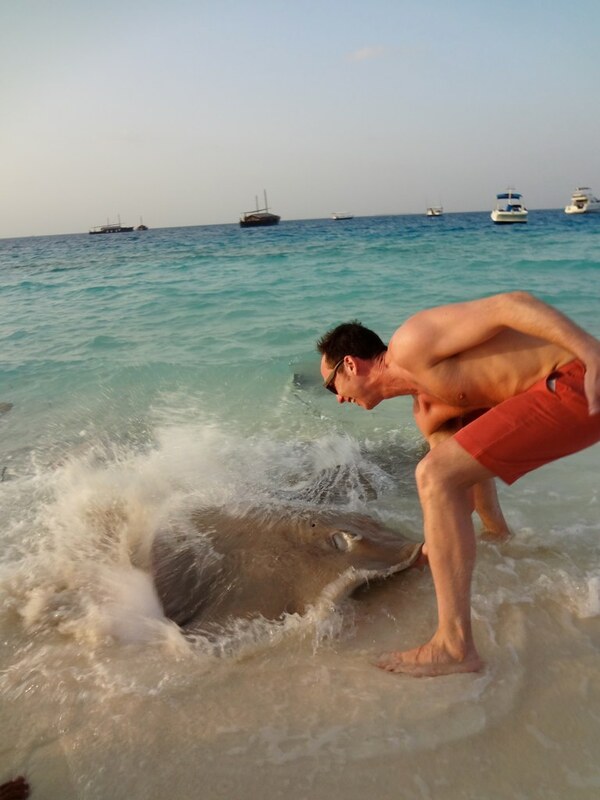 This also helps you mix up your restaurants and activities since the only thing on the islands are the hotels!